A new version of free spacenav is available. (after 4 years ). Last days I compile and install this last version on my Ubuntu system. It's work as always with FreeCAD. But I still need to run this to FreeCAD detect spacenavigator. 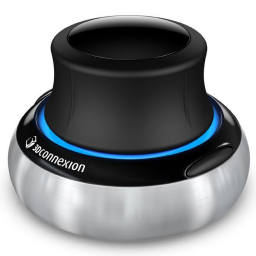 I took contact with freespacenav dev, he is going to see if the needed of restart spacenav daemon can be fixed. should not be needed on any version of spacenav. If anyone having this trouble, could he test this if it's work. So we can change the wiki, because xhost + is a command with some security risk. I can't really test since I don't need it either with new spacenav version. Change password with your sudo passaword. I screwed up when I did the spaceball support for freecad. I should have never used the magellan xwindow protocol. It was/is obsolete and should be for legacy support only. I added two lines at the beginning the init script "/etc/init.d/spacenavd"
where gael is my user name (its presence there is the reason why I don't like my setup). Interesting, thanks for sharing ! Gaël, Thanks for sharing indeed! It's nice to have my Spaceball working in FreeCAD automatically now. Posting for anyone who would like to use spacenav with freecad on elementary juno. 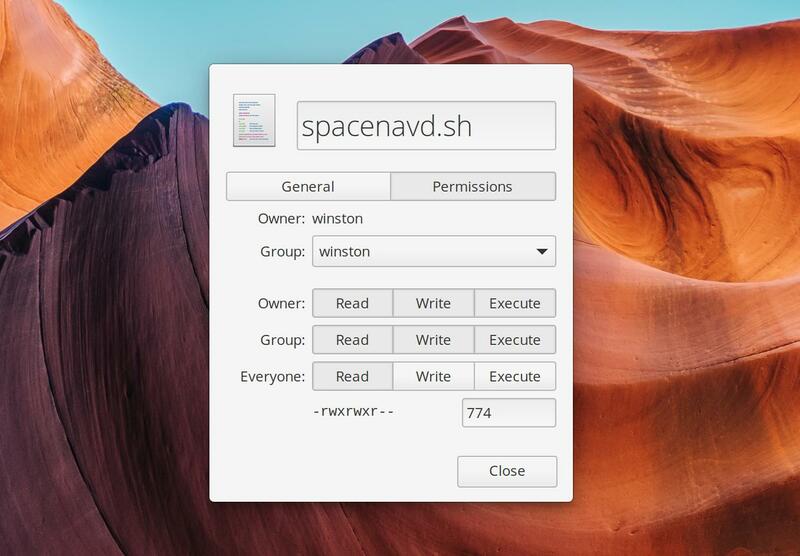 What follows below is how to start spacenav on startup, so that you don't have to issue the commands every time. It turned out I did not actually need to use sudo with these commands. That said, something I did, tho I can't re-create it, did allow me to issue the commands preceeded by sudo. I ran the script with the sudo commands and was prompted by a desktop dialogue box to enter my password. If anyone can re-create, this may solve the original question. What I did was to save the 2 commands (without sudo) in a bash script in my home folder. Then I gave it permissions to be executed by me and my group. Then, in elementary juno, I went to System Settings > Applications > Startup and clicked the + in bottom left to add the script. This action creates a file in ~/.config/autostart/ with basic info that results in something very similar to my original screenshot, named Custom Command and with a stock icon. I was able to clean up the look by editing basic info in this file, like name, and adding an icon in ~/.local/share/icons/hicolor/128x128/apps/ called spacenavd.png. Can you please specify your setup? I can't get it working on Ubuntu 18 with FreeCAD v0.18. On Ubuntu 18.04, there is no file `~/.Xauthority`, the correct file, I think, is `/run/user/$(id -u)/gdm/Xauthority`. This is useless if you run `sudo /etc/init.d/spacenavd restart` afterwards which kills the daemon. A more modern version of this command is `sudo systemctl restart spacenavd`. Could you please help us (me) making this work by answering the few questions I had?